Kids learn and play modern board and card games. No video games! Through group play, kids develop community-building skills like diplomacy and collaboration. 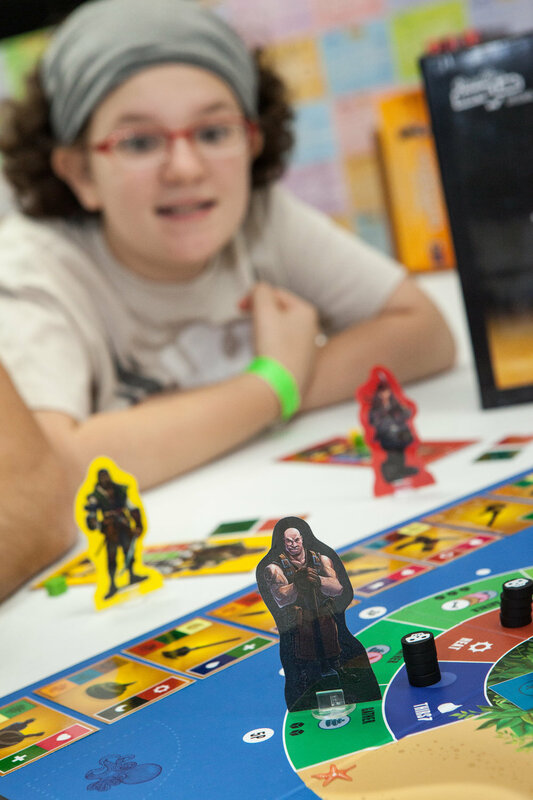 Kids also analyze mechanics, discuss strategies, and add original elements to the games! Tabletop meets once a week and runs at both Lab locations from 3:30 – 6:00 pm. Choose a weekday or even a Sunday. We group kids (7 – 14 years old) by age.